I don't know about you, but Mother Nature is throwing rain, sleet, and snow in my direction today. It's a great day to tackle some of those things that I have been thinking were impossible. 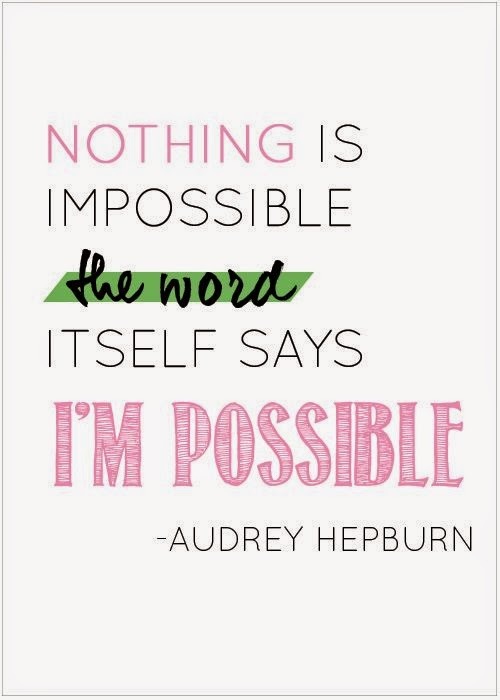 I love this quote, but then again I loved the late Audrey Hepburn. I woke up this morning full of possibilities. I hope you did too. P.S. You can find lots more inspirational quotes here. P.P.S. 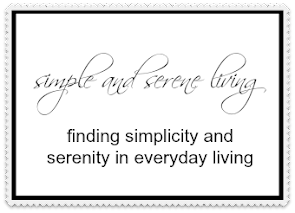 More Monday snippets of inspiration here. P.P.P.S. Don't forget to join us tomorrow for Women Speak. very nice. we had snow last night in ne tx, too. so odd as it is very early! Stay warm & cozy, Laura! I've never seen that quote before! I love it! That is the November quote on my 2014 Mary Englebreit calendar!!! Every morning this month I have glanced at it and smiled. Stay warm. This craziness in the weather is waaayy too early!! I love this quote. I printed it and framed it for the headmistress of one of the schools I work in... Everytime we tell her something is difficult, she says "but it's not impossible"! It's been cold here too. Next M and T in the 60's and then cold again. I'm not a fan of back and forth with the temperatures at all.